The Lakeview Community Association has asked the City of Calgary and provincial government to restrict access to their neighbourhood from a planned development on Tsuut'ina First Nation. UPDATE: This story has been updated to include comments from the Tsuut'ina First Nation chief. The Lakeview Community Association has officially asked the City of Calgary and provincial government to restrict access to their neighbourhood from a planned development on the Tsuut'ina First Nation. A letter addressed to multiple officials with both levels of government was sent from the association last month, asking for 37th Street S.W. to be reclassified as a residential street and explicitly requesting the change "ensure that direct traffic access is not permitted" between Lakeview and large scale commercial developments. 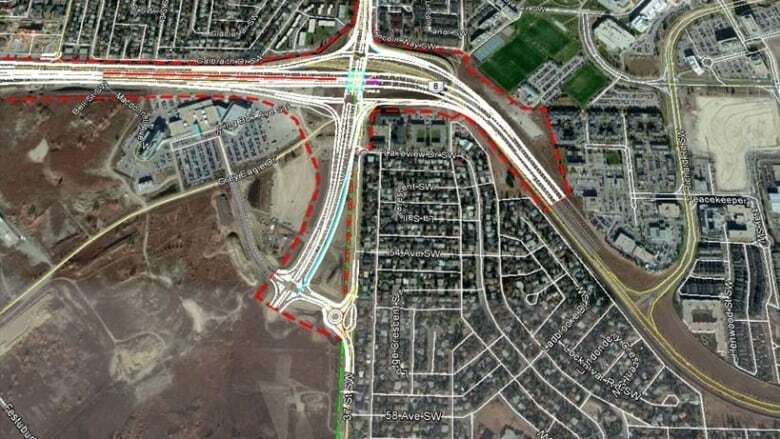 It also retracts a letter sent to the provincial government in 2015 that requested a specific type of intersection along the planned route, allowing for traffic between the First Nation and Lakeview. The 2015 letter did not express opposition to access between Tsuut'ina lands and Lakeview via 37th Street. According to Lakeview Community Association president Joann Burke, their main concern is traffic from the $4.5-billion Taza development planned by the Tsuut'ina First Nation which borders the Lakeview neighbourhood. "That could mean a whole lot more additional traffic into our community and we want the ability to be able to limit that in some way," said Burke. According to Burke, the Lakeview association wants to continue a dialogue with the Tsuut'ina First Nation over the upcoming development. However, the letter requesting these changes was addressed only to the provincial and municipal governments. Burke characterizes the exclusion of Tsuut'ina officials as an oversight. 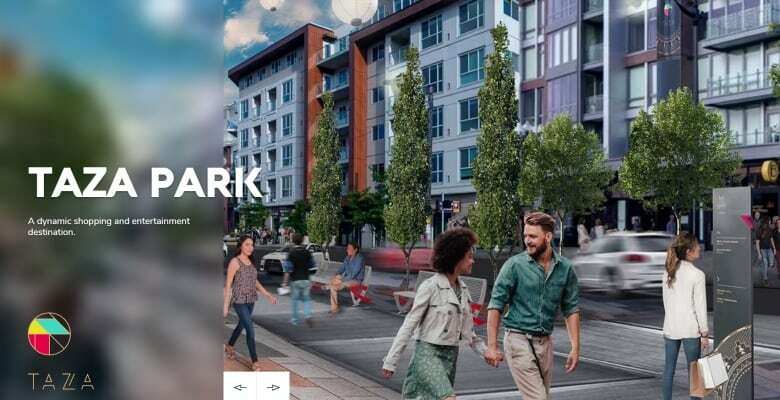 "We want to have a dialogue with them," said Burke, who also mentioned she has engaged with Taza developer Canderel, a firm based in Montreal. According to Burke, while her communication with Canderel happened after the letter requesting restricted access was sent, the developer was not advised of the request made to the City and provincial government. The Tsuut'ina First Nation is sympathetic to concerns of increased traffic, but said changes are unlikely. "What they're asking is really far-fetched. It's a done deal," said Tsuut'ina spokesperson Kevin Littlelight. Provincial government officials echo that sentiment, as some of the changes the Lakeview Community Association has proposed could affect the ongoing ring road project. Alberta Minister of Transportation Brian Mason said Friday while he understands there's been a "change of heart" for some in Lakeview, any changes that could slow down the project won't be considered. 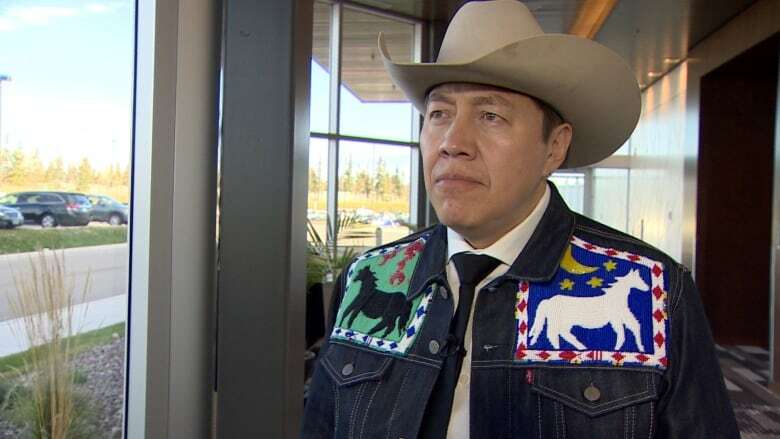 "[The ring road] must be completed within seven years, we're two years in or all the land reverts to the Tsuut'ina and we're gonna have a very lovely, first class toll road," said Mason. "Development can be kind of scary … especially adjacent to where you live," said Littlelight, who invites anyone from Lakeview who is concerned about the development to reach out to the Tsuut'ina Nation. "There's an open invitation to those people that are sceptical or a little bit nervous about our development Taza. We welcome them with open arms to get the full information from us and what we are trying to do." The chief of the First Nation went further. "Tsuut'ina enjoys an excellent relationship with our neighbours in Lakeview. The tenor of the recent correspondence does not, I believe, reflect the feelings of most Lakeview residents," Chief Lee Crowchild said in statement on Sunday. "Finally, at a time when Tsuut'ina is working so hard to build bridges with Calgary, the fact that some Calgarians want to literally close roads is unproductive and regressive." 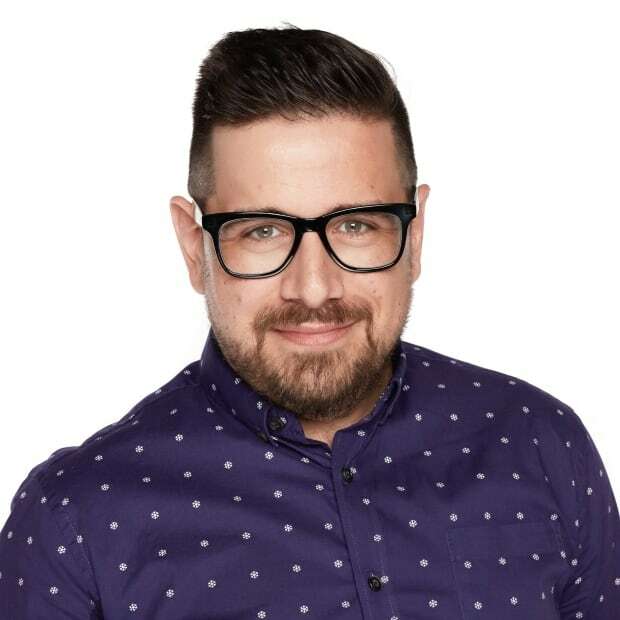 Anis Robert Heydari has worked in jobs ranging from cleaning up oil spills to fixing phone lines, but all those roads eventually led to being a jack-of-all-trades and CBC News reporter. Reach him at anis@cbc.ca.